Which then led to this itsy bitsy repair? There are few mods which I guess I clumped together for no other reason they don't belong to anywhere else. The first was the windscreen. It's fine for deflecting the air over me, but I am pretty short. I lucked out and got a steel of deal on the windshield, but expect to pay around $400 is you need to buy the parts direct from the BMW. 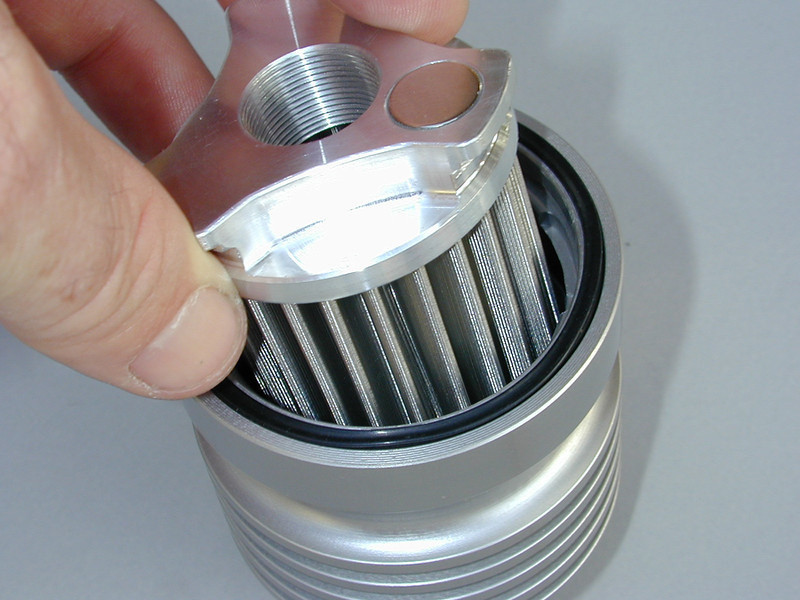 Since there was high probability that I will be fording water crossings, I decided to put in a reusable oil filter. 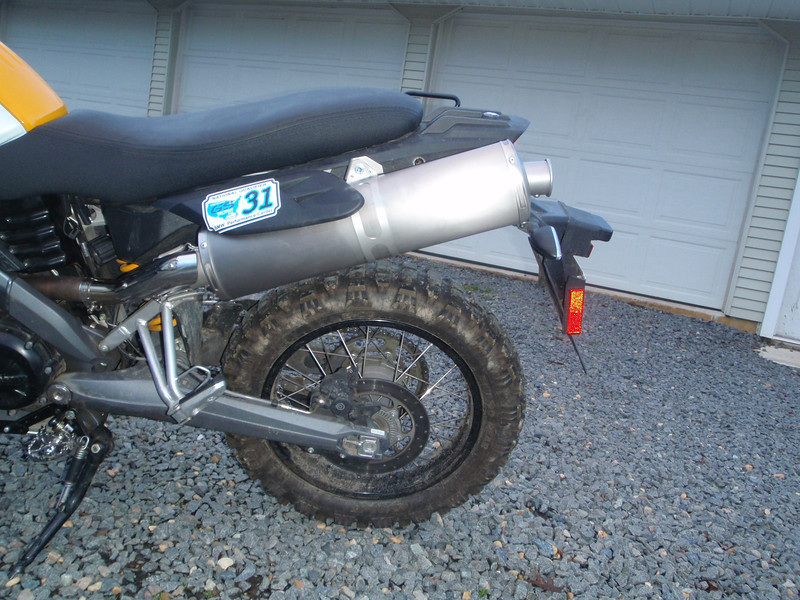 Also, given the number of miles that I will put on the bike, this is one mod that should pay for itself. I chose Scott's Performance since they filter down to 35 microns (which is about 3 times better than most good paper filters). The part number is 2151. About $70. No doubt the XC will see her fair share of dirt and grim. While it's a badge of honor, the result of my lack of baths will eventually have a toll on her. As plastic body panels become harder to source the more rare and old, it's best to have a pound of prevention. I decided to put 3M Nano Film on the painted bits. While this kit doesn't have complete coverage, it does appear to cover the major high traffic bits. I ordered P/N 601 from Prints and Plots. Clean the panels from all grit, grim and dirt.When you apply it, use a spray bottle with a few tables spoons of regular dishwashing soap. 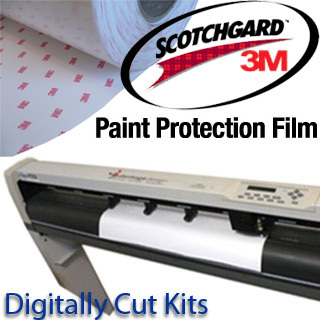 Then liberally spray both the back of the sticker and the panels with the soapy water. Move the sticker around as needed, then use a heat gun (hair dryer) to softly heat as you work the bubbles out with a straight edge. Do NOT over heat. Expect about $100 for this project. 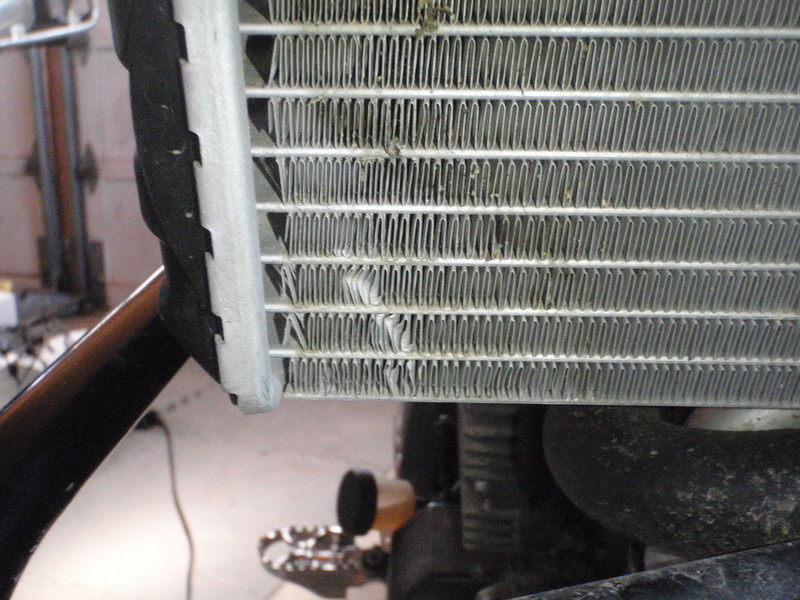 It wasn't long after just road riding that the radiator exposure was obvious. It was scary how little abuse I had doled out to her, and how painfully obvious this was a weak point. 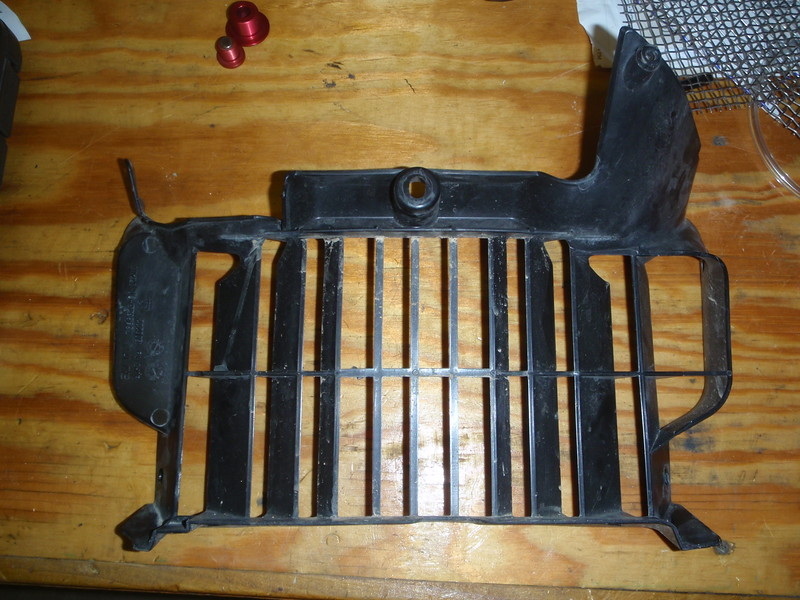 There were very few aftermarket sources for a radiator guard in the 2007-2009, and none that I found in 2014. It is a good thing that the plastic radiator guard lends itself nicely to modification. The first step is to unbolt it from the bike. 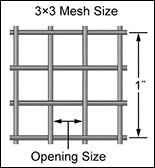 Mesh size is the number of openings within a linear inch of the wire cloth. Opening width refers to the actual open space between parallel wires. Wire diameter indicates the thickness of the wire. When selecting a wire mesh size, I wanted something to catch the pebbles and such, but not so fine that it easily clogged. Additionally, air flow over the radiator will be somewhat reduced in theory, so a very small mesh will also affect the cooling. In the end, I chose stainless steel Type 304, 4 X 4 Mesh, .047" Wire Diameter. One source of supply is McMaster-Carr. A piece that was 12 inches square was about $15. A peice of the uncut wire is in the upper right of the above photo. Probably the best money I've ever spent on the bike was putting aftermarket suspension. While we've used Cogent Dynamic Motorsports, Works Performance and Ohlins, my "go-to" guys is FastBike Industries. 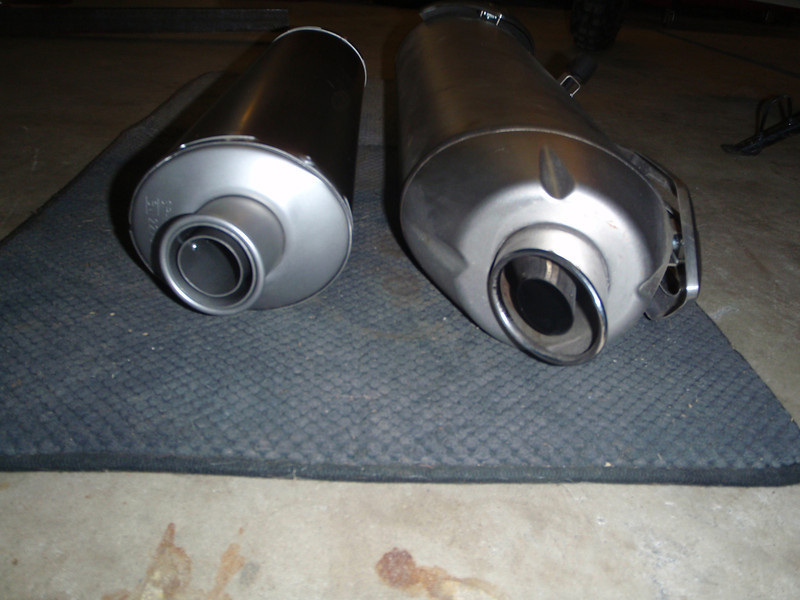 Pronounced "Oh-leens", David at FastBike has been able to some great work. He's a independent shop, but a perfectionist. Furthermore, he understands that models and the science behind the numbers. He's such a wiz-kid, that he is able to do entirely custom work. For example, instead of cutting down an incorrect spring rate on the cartridge inserts, he actually gets custom wound springs. 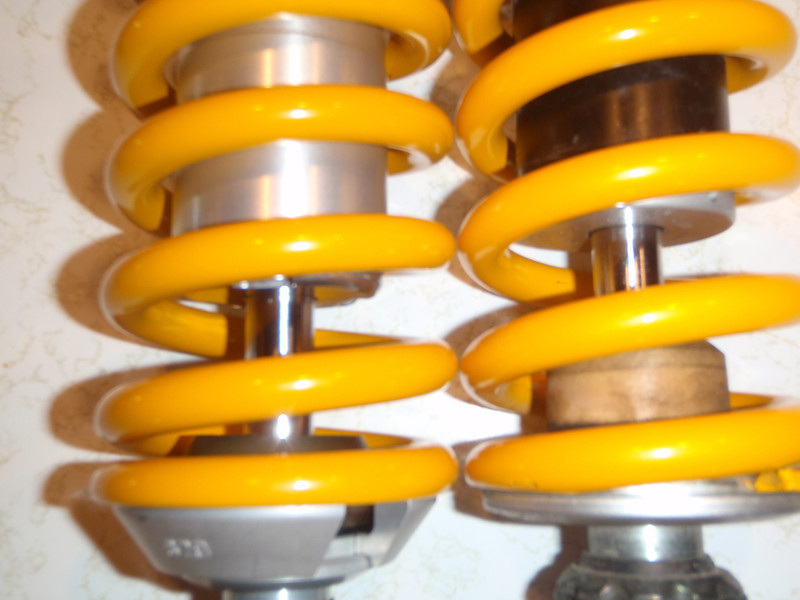 Surprisingly, getting the correct springs doesn't drive the cost much. So, I sent him my front forks. 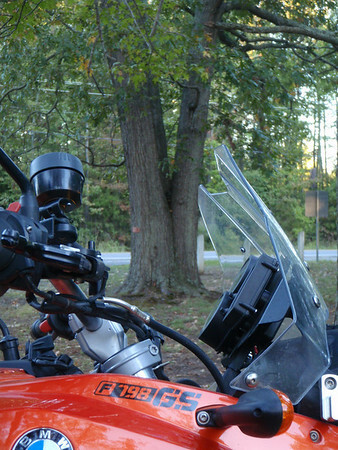 He reused the fork tubes, but modified the cartridge inserts (used on the F800GS) for the XC and my parameter (shorty!). 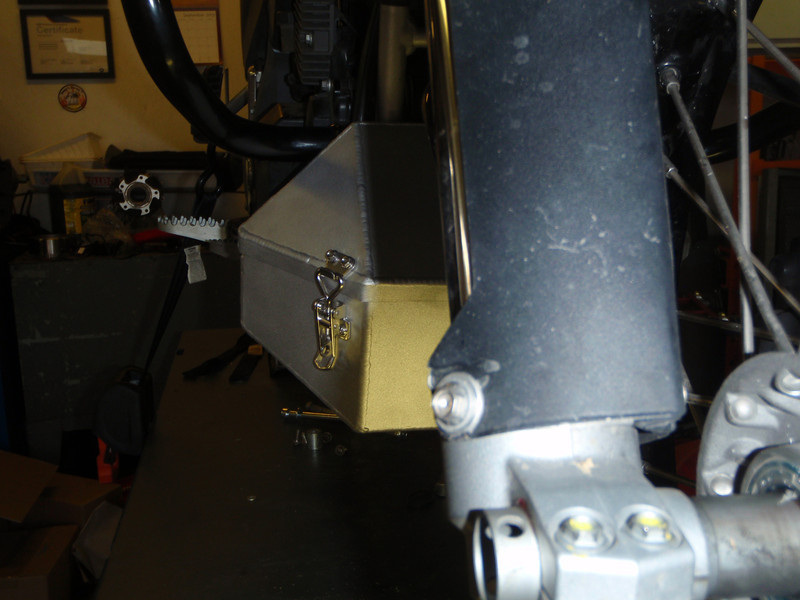 The front forks now have fully adjustable rebound and compression settings. 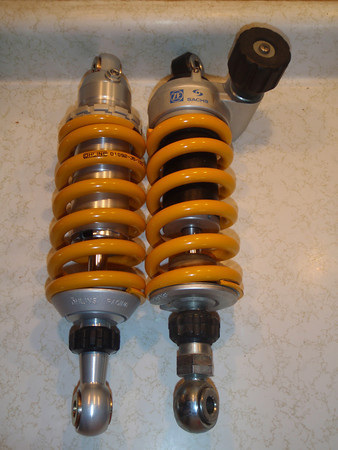 For the rear spring, he actually specified each sub-assembly to design the custom shock. 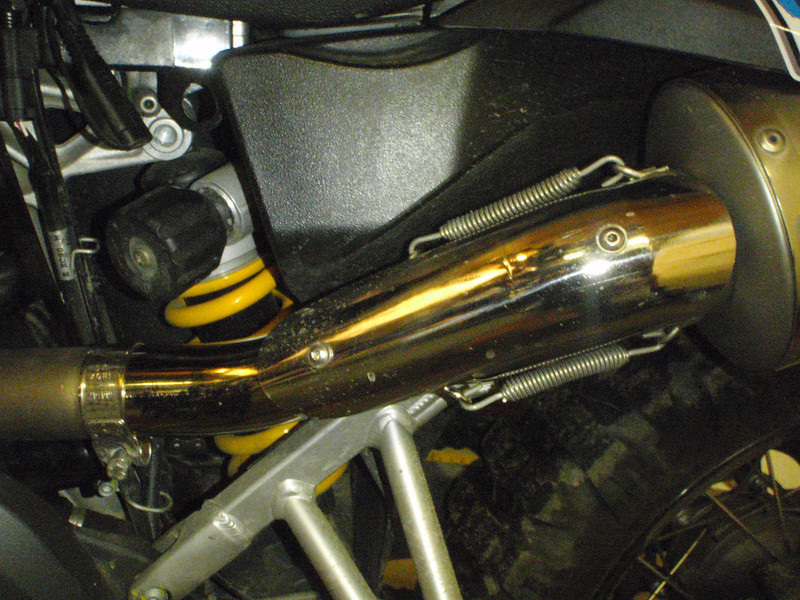 Ohlins are naturally 'taller' than stock, mostly due to the fact you normally correct the sag measurement. 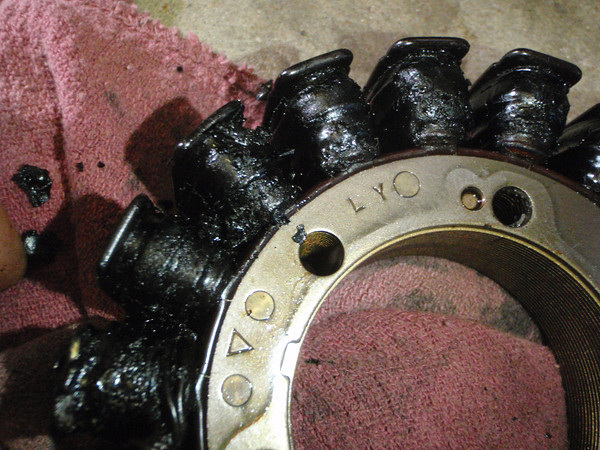 To compensate, he was able to shim it a wee bit (think mm). Since there are few bikes that really fit a shortypants like me (28" inseam), I fully expect to have to spend $ modifying the bike. I also keep my bikes long enough to enjoy the aftermarket investment. 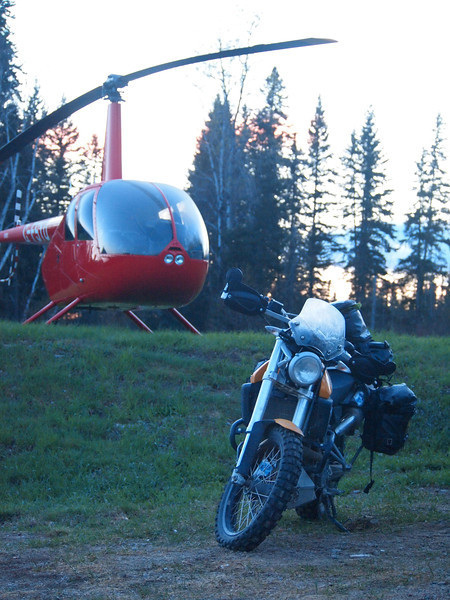 The suspension work (AKA 'Spench) was probably 50% of the value of the bike, but something that work is the best Return on Investment that you will notice! 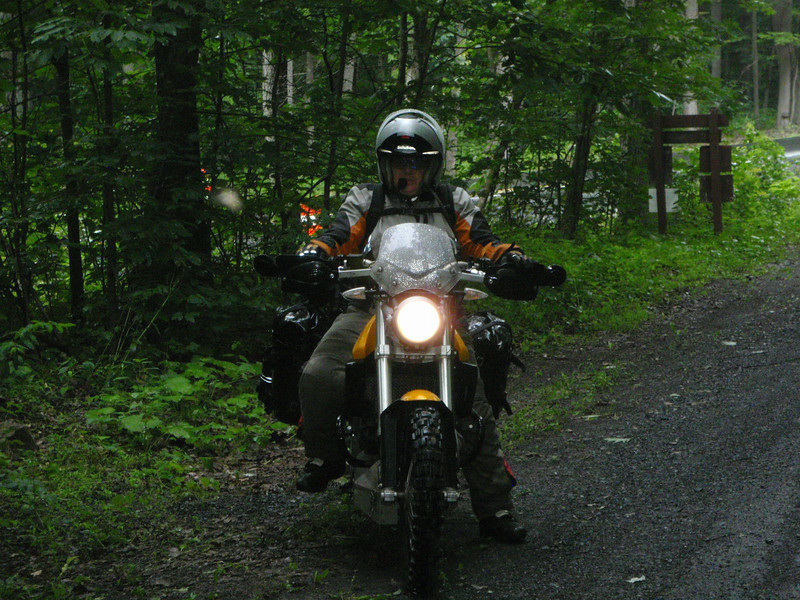 A few months later I took the XC over to a cornering clinic. Basically, it's a closed 10 acre course that is coned off. 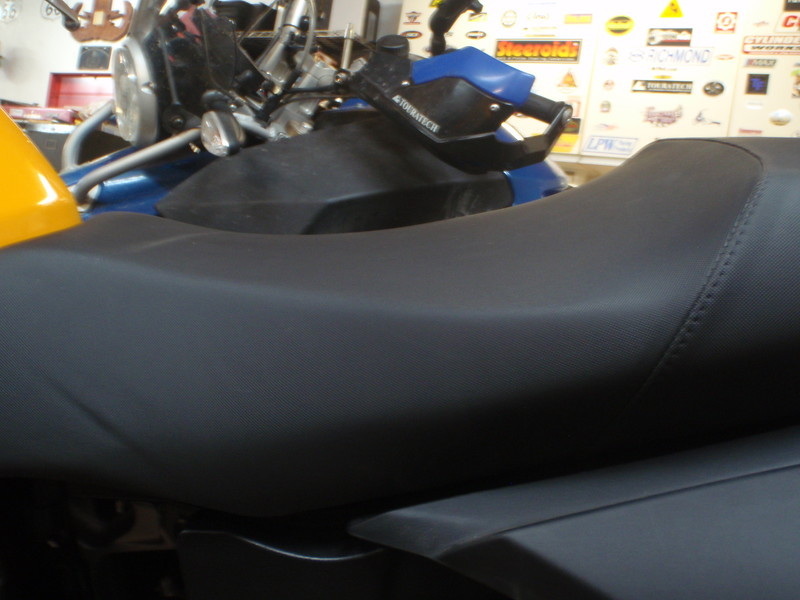 While knobbie tires, I was putting the sport bike guys to shame because the 'spench was settling so nicely. Needlessness to say, those TKC weren't coming home with "chicken strips" today! As all good things, power is everything. The XCs slender weight was unfortunately achieved by having a smaller stater. I believe it is 240 Watts. Nonetheless, still need to think about how to run the GPS, the tap for the heated gear, and AUX plug. First order of business, was an Odyssey battery. 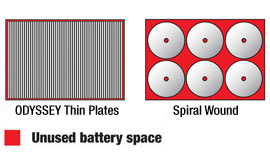 My experience with Odyssey batteries is that you don't trickle charge them. However, if you do completely discharge them you must use an Odyssey charger to recharge it. The batteries are incredibly robust to vibration, and I've had them start in very low temperatures and last longer than average powersport batteries. They are the no headache solution, if they have a size for your bike. Fortunately, you can squeeze a PC310 into the XC! Since I need 4 or 5 taps on the power, I will need a fuze management system. 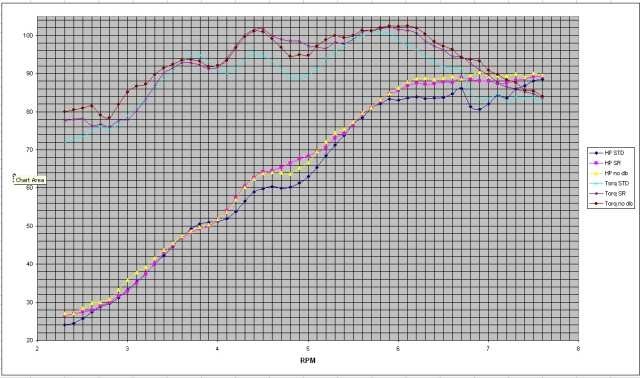 While one could chose the Eager Beaver, Centrom or this 3 block system, I chose the solid state Rowe Electronics PDM 60. The main advantage to solid state is if you have an electrical spike, you don't 'pop' a fuze. Rather, it resets on it's own. It is also quite small (about the size of a credit card, 5 or 6 cards thick). The one thing I didn't plan for was having to find a common ground. However, it does deliver six power circuits configurable for 60 Amps total. 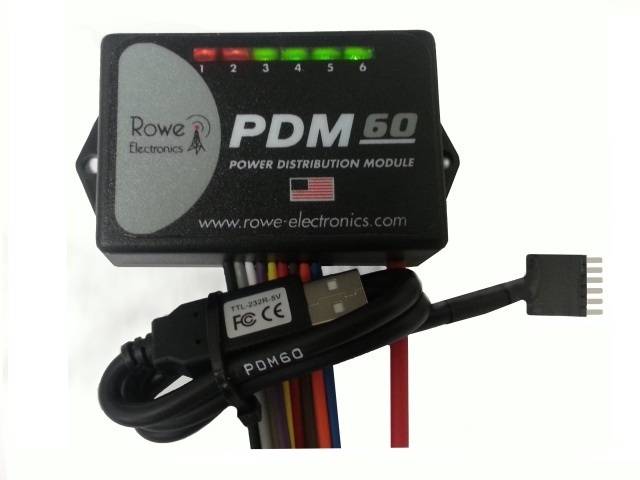 The PDM60 is fully user programmable via the PDM60 dashboard software (set circuit triggering/switching methods, delay circuit activation/deactivation, and individual circuit amperage levels). This mod cost about $200. 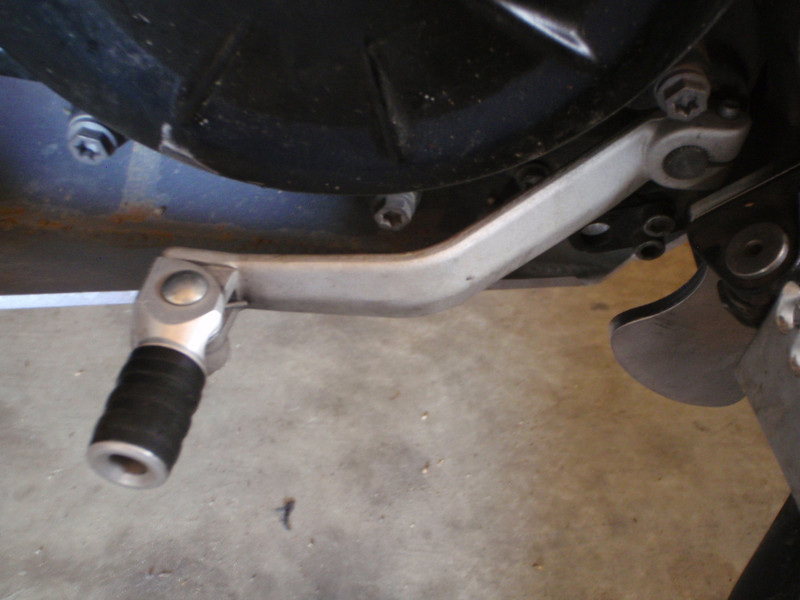 Since my bike doesn't have ABS, I was able to use the mouting spot for the PDM. Since I won't need to change popped fuzes or worry about water intrusion, it as good as place as any. 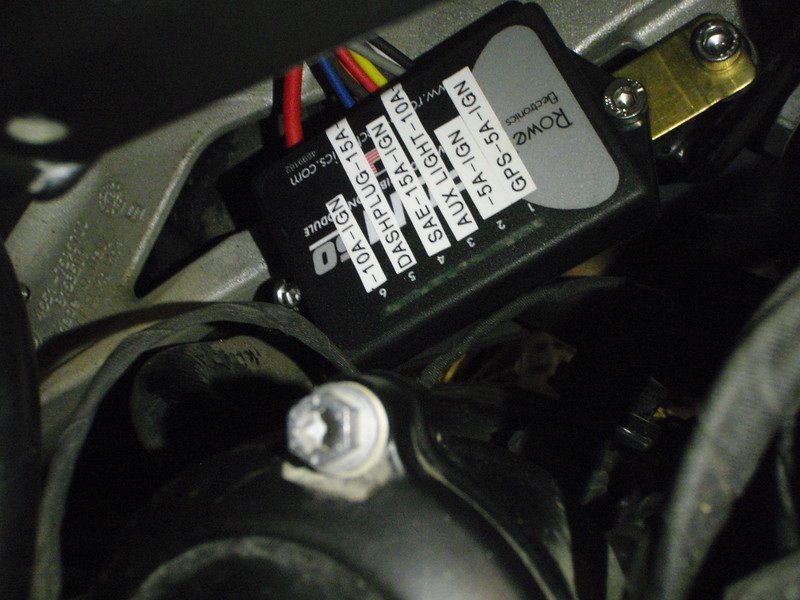 You will need a wire that has power when the ignition is on for the PDM circuit triggering. 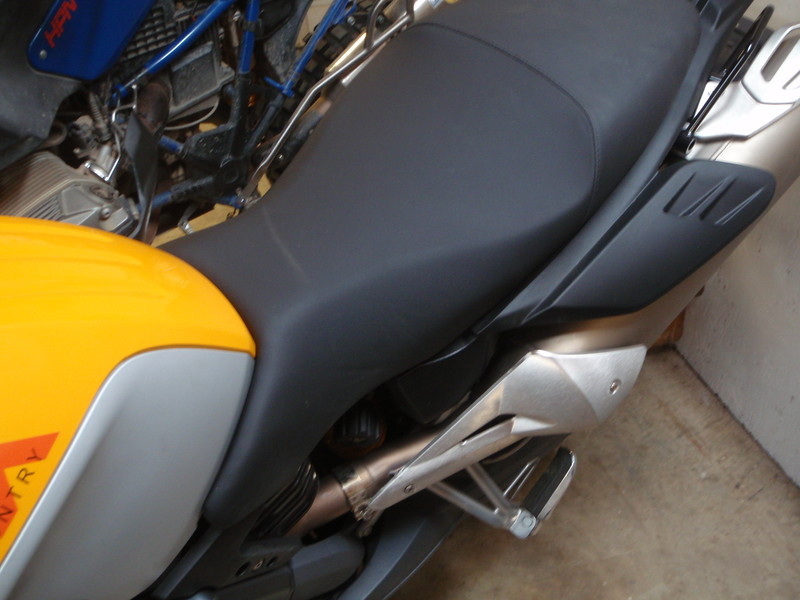 I recommend uses the power on the plug for the charcoal canister which is under the rear of the seat. 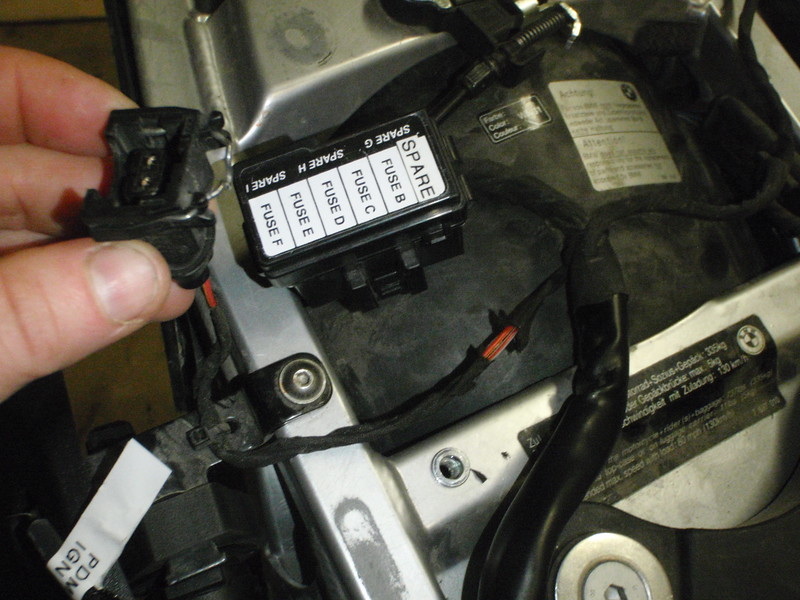 When splicing into the OEM wiring looms, you should be careful not to create shorts, grounds or other electrical gremlins. 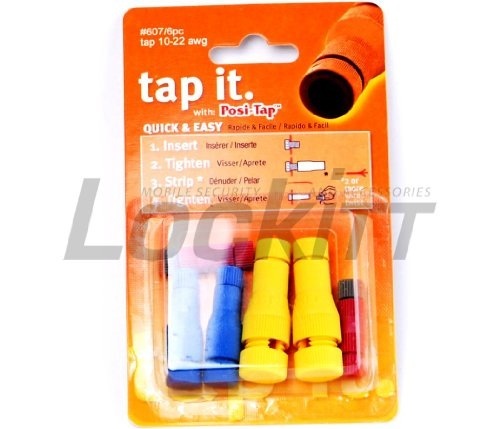 Posi-Taps are an easy and waterproof way to tap the wire. Remember, the smaller the wire, the bigger the AWG. The wire above is probably a 20/22AWG if I recall correctly. 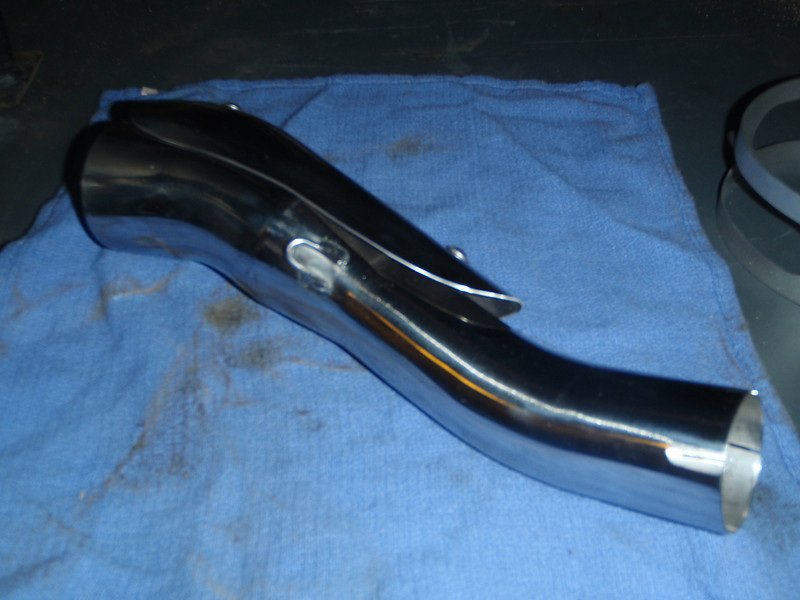 Last, but not least, the meep-meep horn was replaced. I replaced with a Stebel Magnum Horn (low tone). The Magnum Horn gives you a single note tone. The Low tone is rated at 136dB @ 410hz. I believe they are now out of production. I was able to use a small bit of scrap aluminum and mount it to the same location as stock. 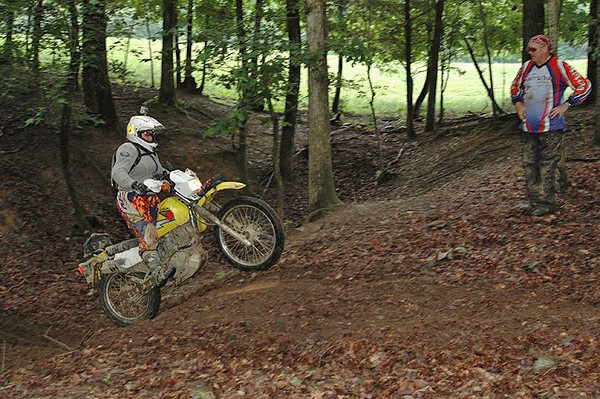 If you aren't running some sort of hand guards off-road, then you either need to bring lots of spare levers, ride like Shane Watts, or buy some hand guards. 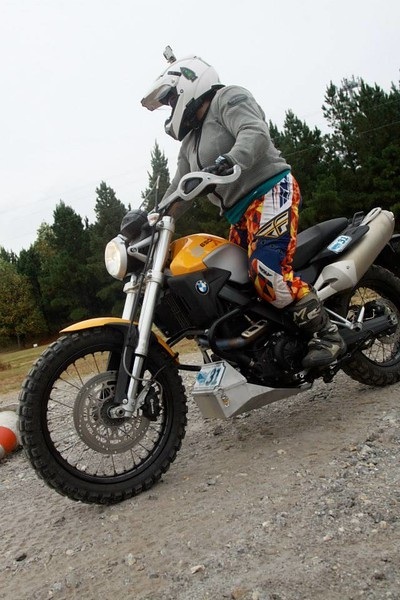 There are many kinds of hand guards that could work, but I am a fan of Highway Dirt Bikes. 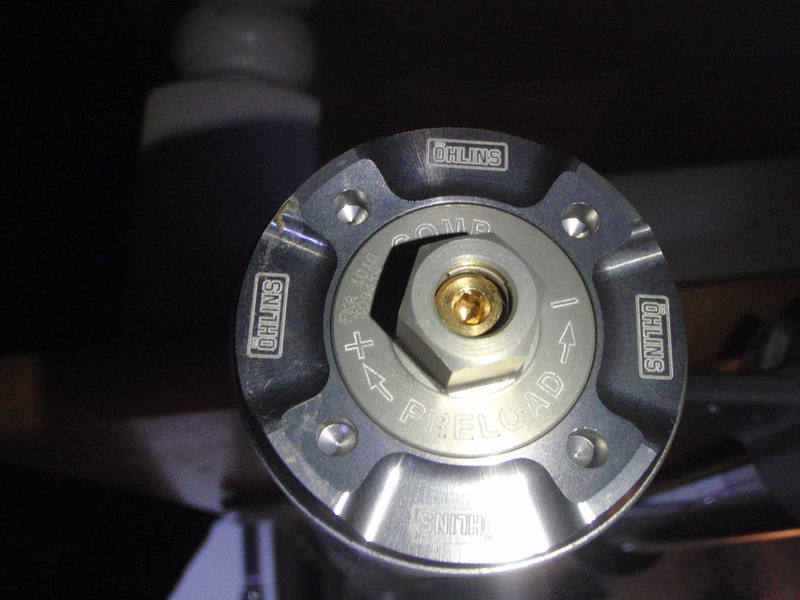 The main reason is that the way the top clamp connects the guards. I find that it somewhat dampens vibrations and secondly the top clamp gives me a tidy place to mount a RAM ball (or 2) and sometimes a button if needed. I also magnificently crash tested another set a few times. The guards never missed a beat, and in fact, you will likely bend a bar slightly before you will break off your levers. The other nice feature is you can run them without the plastic shields for better air flow on your hands during the hot summer months. While HDB does come with mirrors, I do find them a bit buzzy. They are fine for the minor stuff off-road, but I don't particularly care for them off road. A better all round choice would have been the Double Take mirrors. There are times in life, when you should stand back and soak up the beauty of the situation. Scheffelmeier Metall is one of the those times. He is a clearly a master of his craft, and it's almost a damn shame to be putting his work on the bottom of motorcycle. I believe that most of is should be on the coffee table. They say that a good weld should look like a stack of nickels, which has been slightly knocked over. 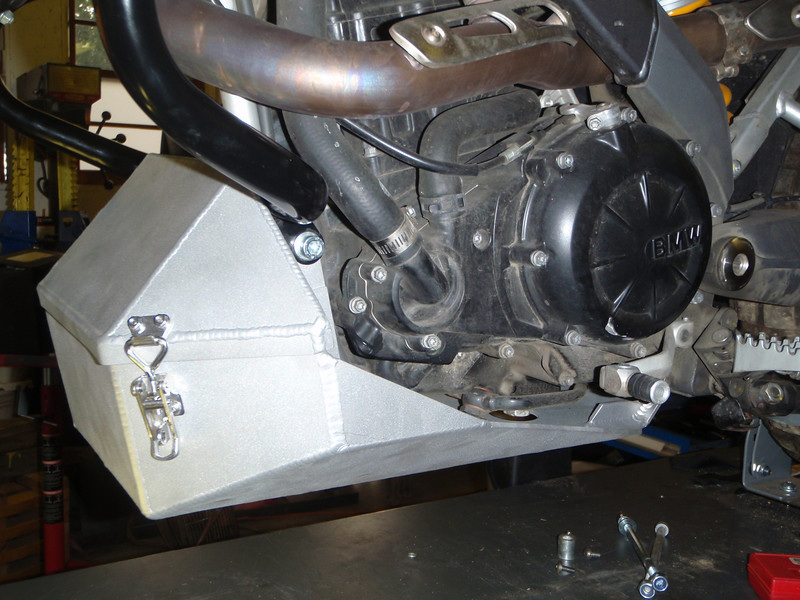 Look at how well his corner comes together and the welding. It is a point where form meets function. 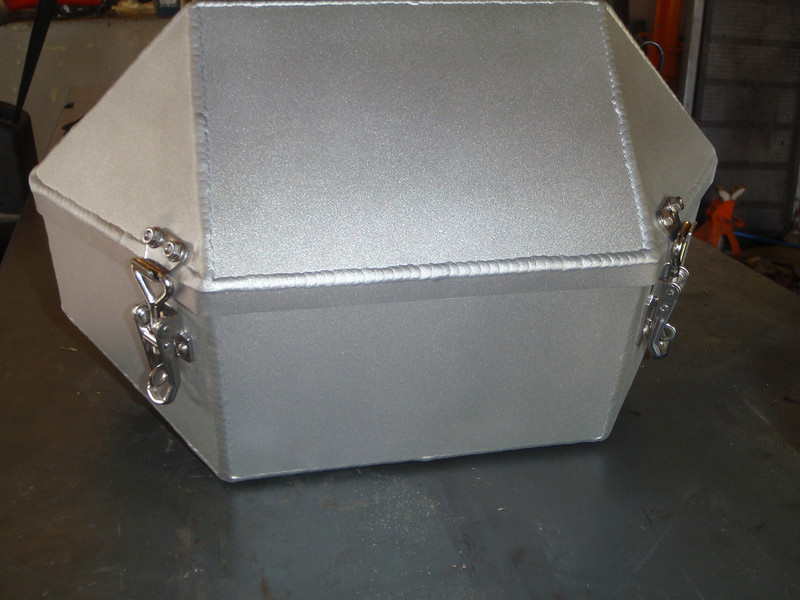 The proprietor of Scheffelmeier Metall is willing to do custom work. 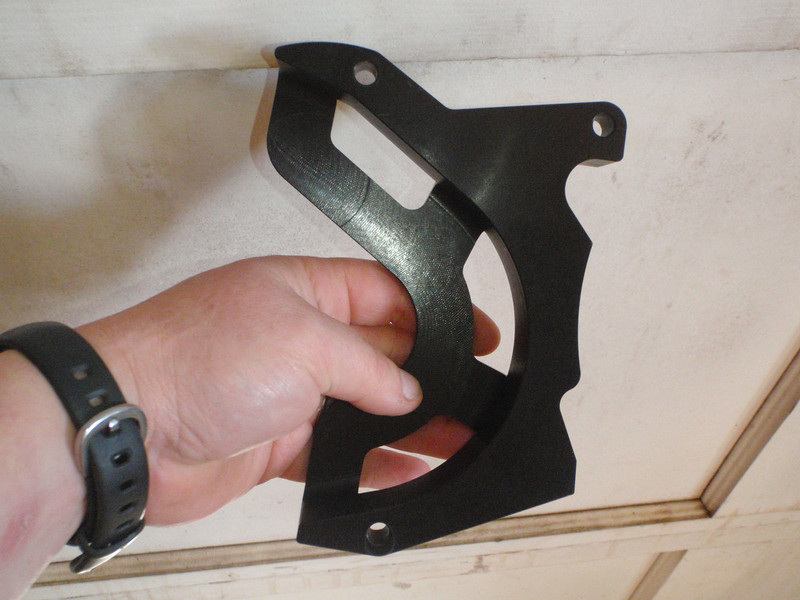 Here, he was able to blend the tool box from one skidplate design onto his existing skidplate for the G650X. 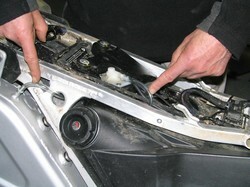 Attaches to the frame, not the engine. 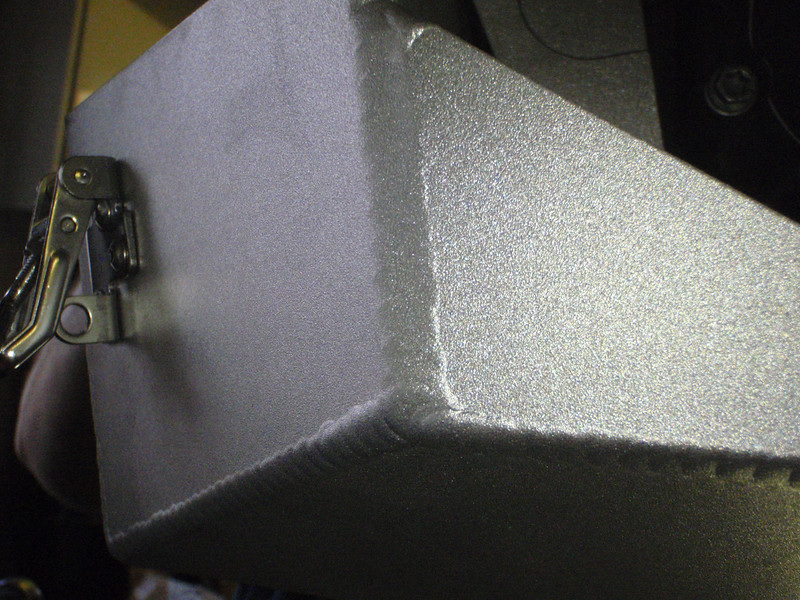 The aluminum is very thick too! The tool box has a rubber seal, so it is water resistant and in new condition 100% waterproof. There are two brackets which will bolt on at the frame. 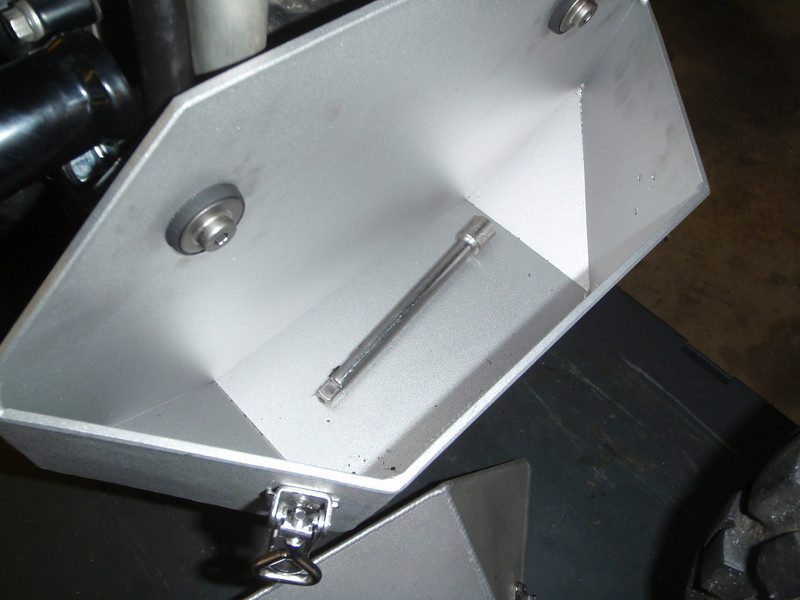 On these bracket the bash plate will bolt on with two M8 bolts. 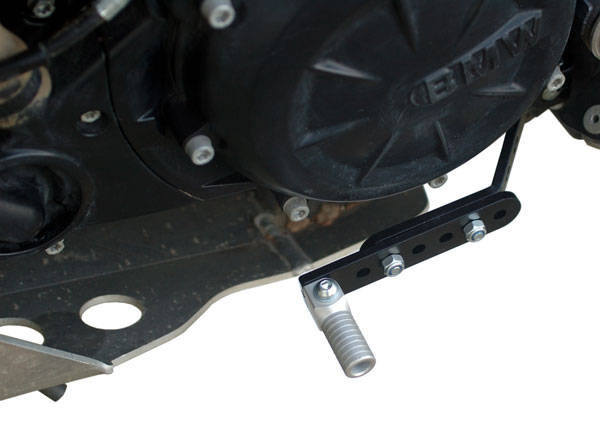 The bash plate is made of 7020 T6 aluminum. The surface is shot peen. 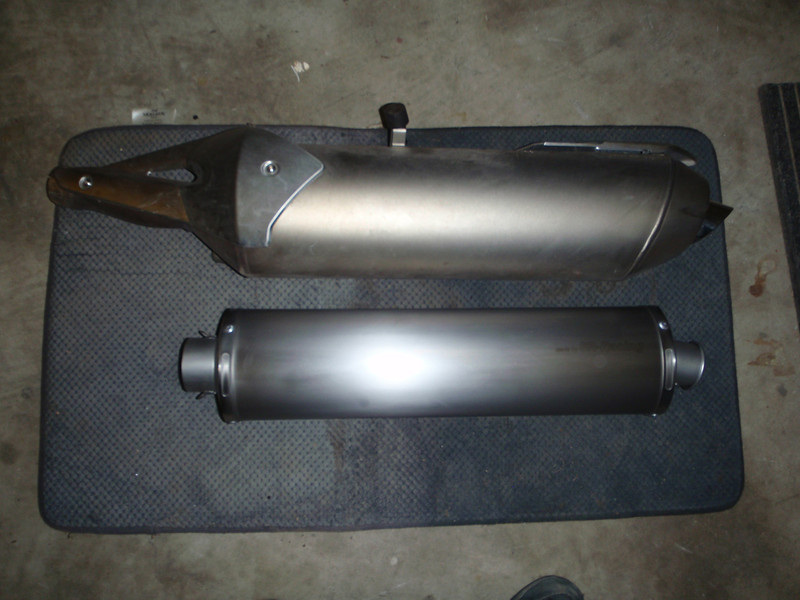 This is a standard 6" rachet extension shown for size. This is one large cavernous hole! My only complaint is that I stuggle to keep it water tight, but really most of the stuff that goes in here is waterproof anyhow. 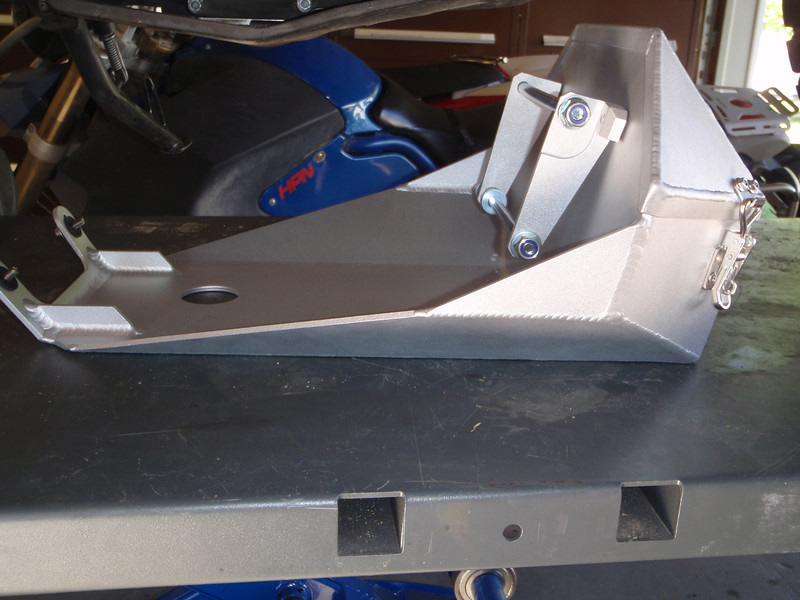 This skidplate design also covers the very exposed oil return line shown here on Snook's build, which neither the factory X-Country or X-Challenge plate protect. Since shipping across the pond is prohibitive, I decided that I should indulge with another item that would essentially tag-along at no shipping. 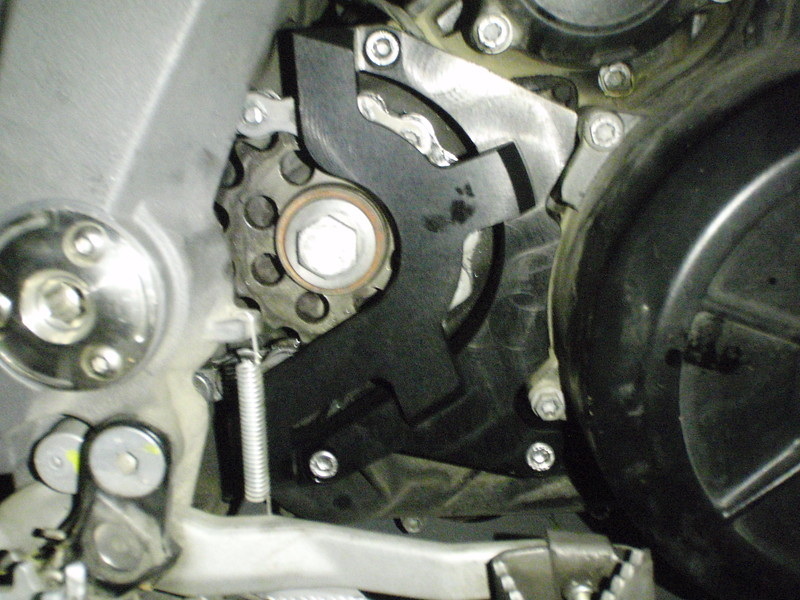 The Front sprocket cover - case saver was just the item. 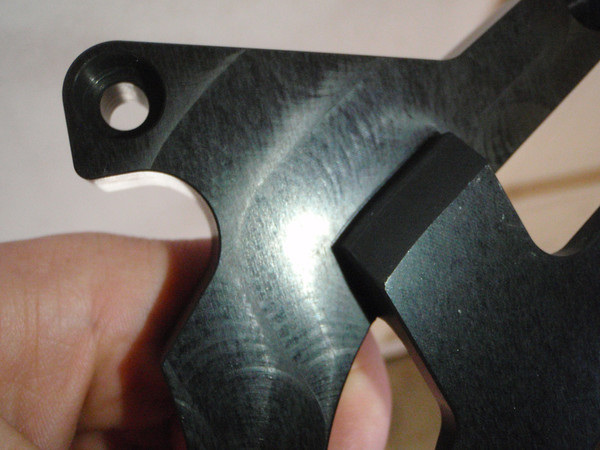 The machining marks make me almost wish I would have just got the natural finish to really make this one pop! This protective gear is to protect the engine case better if the chain breaks and is wedged between the motor and pinion! Also catches less dirt in it, as this is not closed completely! Includes 3 x M6 VA screws! The protective gear is anodized black. 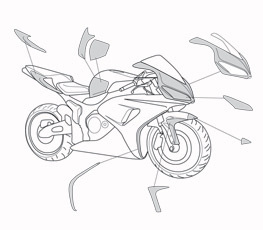 While I certainly love to doodle on my own time building up any bike, our long adventure teeters on existing for 2013. The XC might have to spring into action a full 10 months earlier than planned after a unfortunate demise of my stator on Dorito. One of the things that really plagued this particular bike build up was the lack of after market support, probably attributed to the poor overall sales numbers. About the only thing that saved the after market at all is the Bavarian blood. 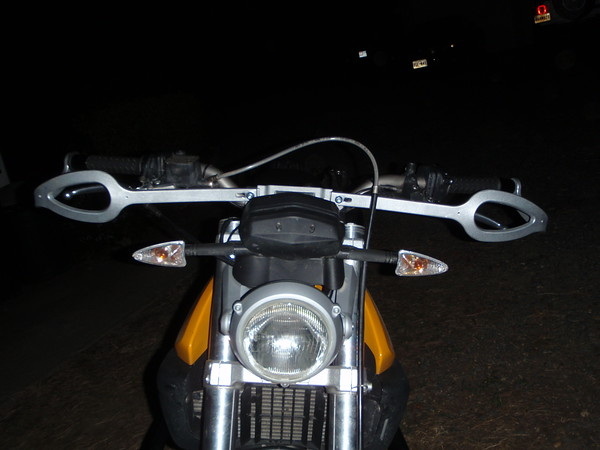 One of the first orders of business was the crash bars, lord knows we will be kissing God's Green Earth soon enough! 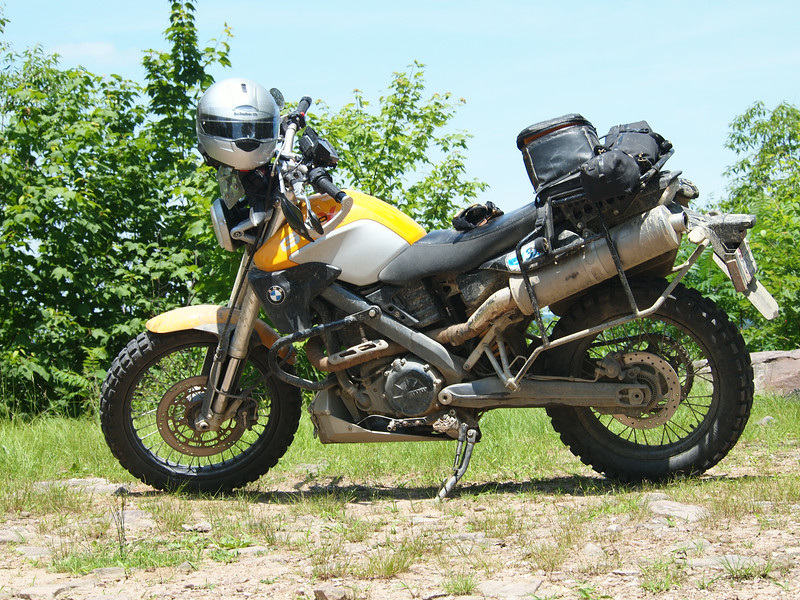 At the time, I think only Touratech and SW-Motech had produced any. I was lucky to get one of the last sets in the US from Twisted Throttle. 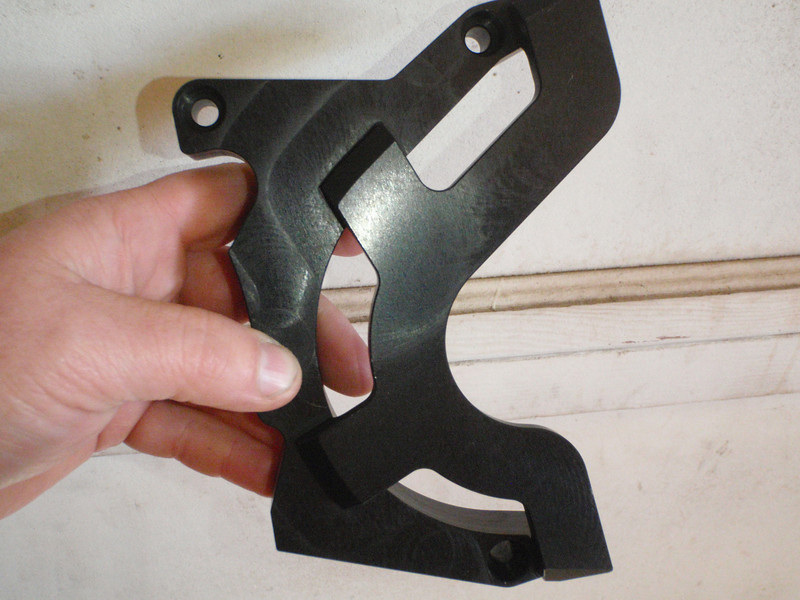 Constructed of 26.9mm outer-diameter mild steel tubing. 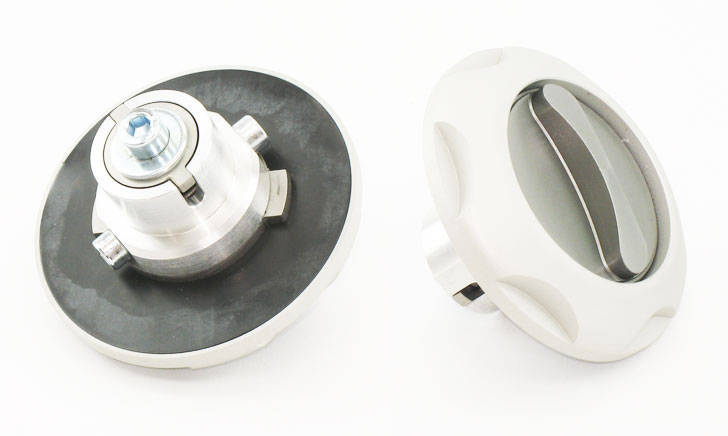 The part number is SBL.07.629.100. Never had considered SW-Motech in the past, I was hesitant. The bars themselves are quite small and unassuming. But, they are quite nicely made and fit up well. 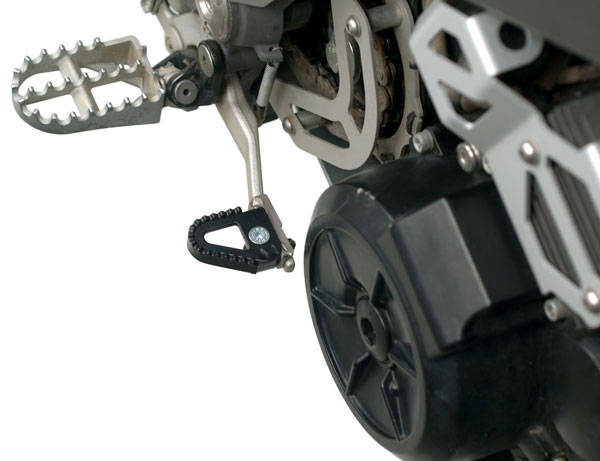 They attach to the frame of the bike vs the motor mounts where possible. 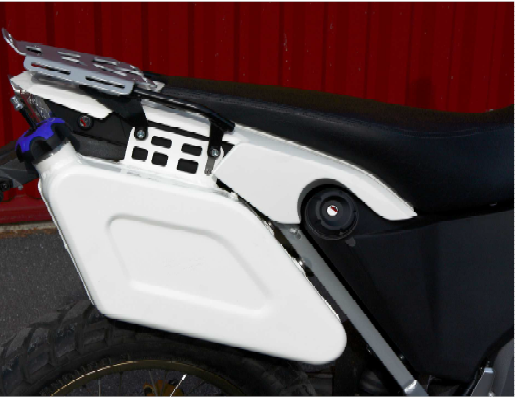 Additionally, the cross member provides some crush protection to the radiator, and also prevents later movement of the bars on crashing. The powder coat is still shiny 2 years later. They have survived the few minor get off, and I have been pleased with them especially considering the $200 initial investment. 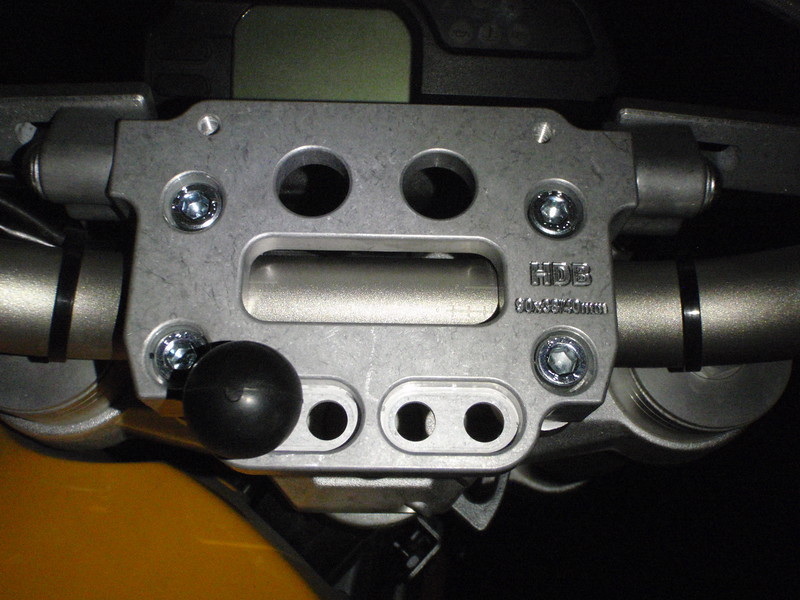 One factor to consider when selecting the crash bars is your skid plate. 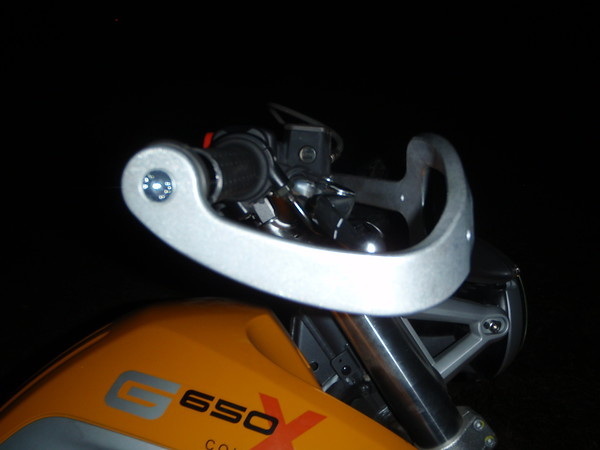 There have been many a story of crash bars not fitting your skid plate. 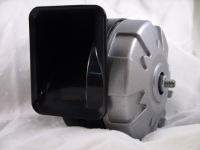 It seems the BMW P/N 71607706067 ($127). Snooks Build shown here with thee BMW bars. I am not sure what really happened next. 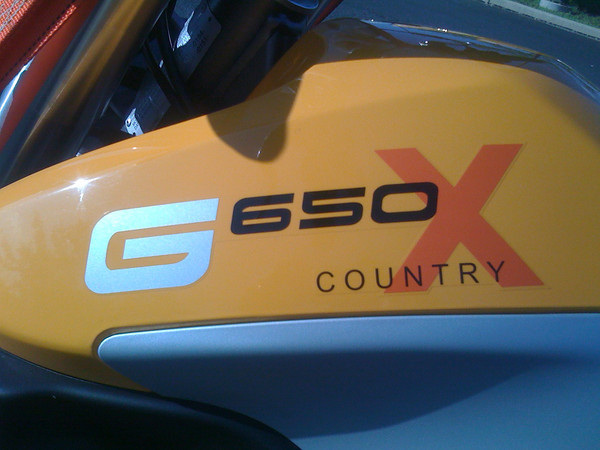 The G650Xs were like hen's teeth to find. They didn't sell well quantity wise, and they were a bit too new for people to be dumping them yet. Add to that, I wanted one that hasn't been flogged. Not having much on the market at the times, I decided to sit this one out a bit. I set up some seemingly innocent Google searches and went on my merry way. I guess when you aren't looking (or needing) something, you will certainly find one. In this case, I found a 2009 just 150 miles north in Pennsylvania. 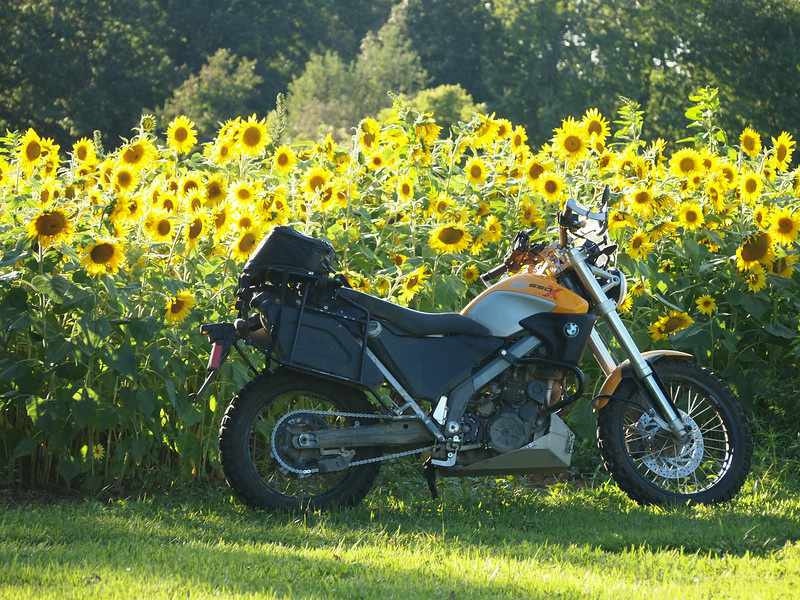 The 2009 was the last production year of the bikes (2007-2009), and perhaps the most attractive for me. First, it was the only year it was yellow, secondly, it the suspension had been lowered more and third, it had a steel sub-frame, as the Aluminum ones had been cracking under the weight of panniers. As the first BMW was the same color as Doritos, I elected to keep the naming convention. 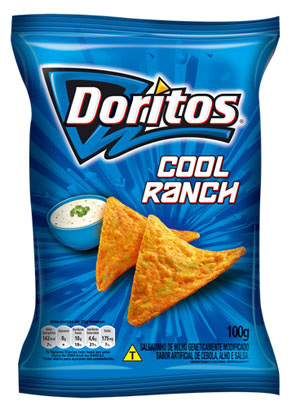 This one would be "Cool Ranch" Dorito. Never throw your leg over a bike you don't want in your stable! The spring of 2012 was a wet one. One of the those springs, that you actually consider your carpentry skills to ponder if you could actually build an Arc. 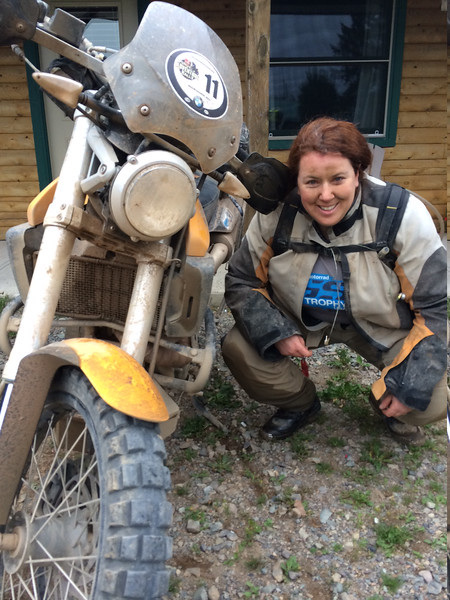 With cabin fever setting in, Bruce and I wonderlust for an opportunity to get some dirt under our wheels. 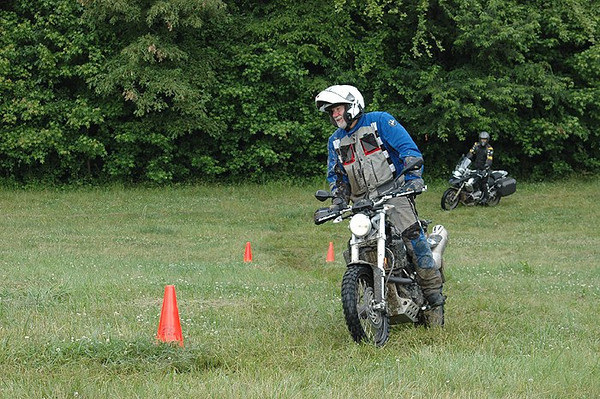 That moment comes when the local BMW dealership hosts the off-road riding day at a local farm. While there are enough bikes around this place to start a breeding conservation program for BMWs, today would not be a Big Bike day. The ground is far too soggy to truly devour the terrain. Yes, today is a little bike mudding day. As the day began, the big BMWs performed as expected. It looked at times like bowling alley of strikes as bikes lay left and right of every planned obstacle. 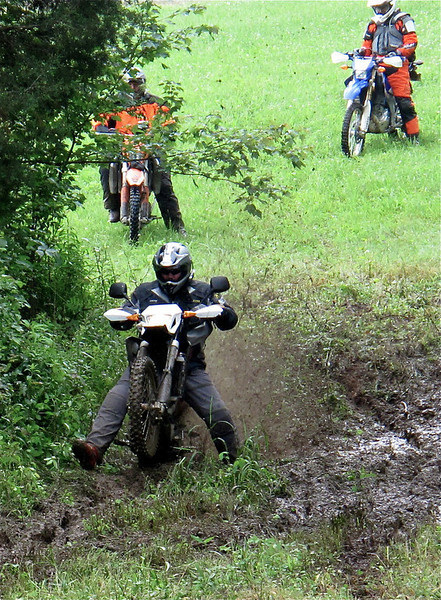 As they continued to play on their grassy knoll, the little bikes diverted our attention to wallowing in the mud. While we frolicked about like hippos in water, we would catch each other only long enough to roost. Seems only logical that eventually we would frag someone not in the inner circle. However, now 2 years into the future, it was probably the best roosting we've ever accomplished! 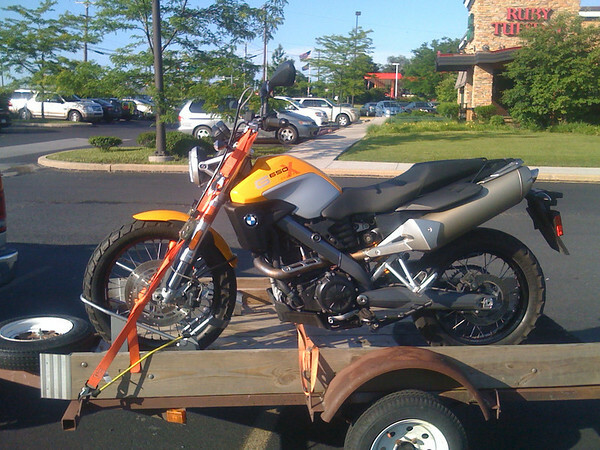 You see, I had been looking for a mid-weight ADV bike but couldn't quite put my finger on what I wanted to ride. 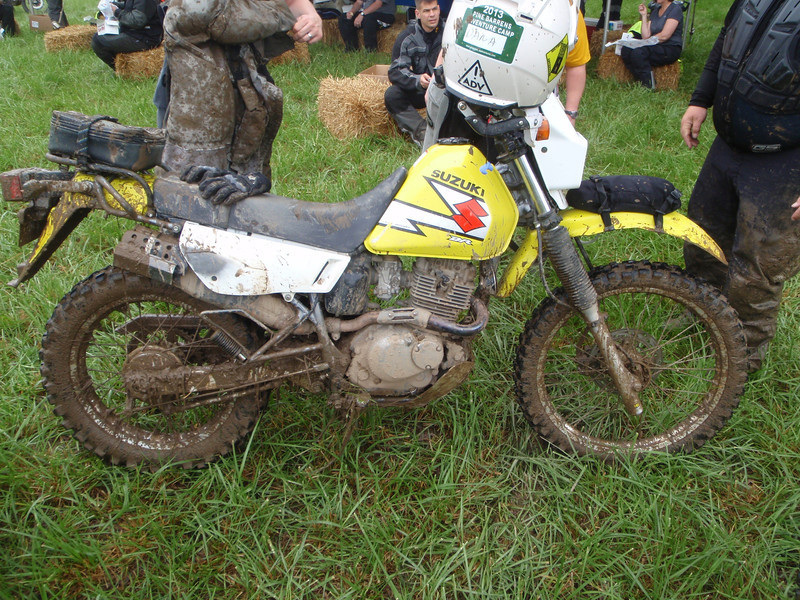 Keith happen to bring his XC to the off road day, then spend all day throwing mud back at us. By lunch, all the bikes were pretty much trashed. Keith was more than generous to let me throw my leg over his steed.